There are many kinds of co-operatives: food co-ops, co-op daycares, credit unions, retail co-ops, worker co-ops and housing co-ops. Any group of people can form a co-operative. The members own the co-operative and the co-operative provides a service they need. Housing co-operatives provide housing. Since the 1930s, Canadians have been building and living in housing co-ops. The people who live in the housing are the co-op’s members. They elect, from among themselves, a Board of Directors to manage the business of the co-op. Each member has one vote. Members work together to keep their housing well-managed and affordable. Over the years, federal and provincial governments have funded various programs to help Canadians create non-profit housing co-ops. The co-ops developed under these programs provide good quality, affordable housing. There are more than 255 non-profit housing co-ops comprising 14,300 units in British Columbia. As a co-op member, you have security of tenure. This means that you can live in your home for as long as you wish if you follow the rules of the co-op and pay your housing charge (rent). As a co-op member, you have a say in decisions that affect your home. You and your neighbours own your homes co-operatively. 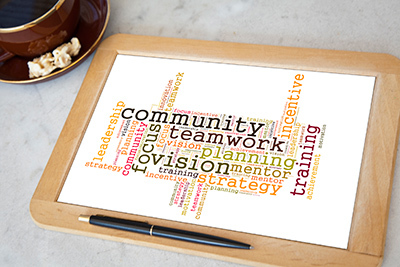 Members form a community that works together to manage the co-op. Co-op communities are made up of all kinds of people – people with different backgrounds and incomes and special needs. These diverse and vibrant communities are the unique strength of the co-op housing movement. The Co-operative Housing Federation of BC (CHF BC) is a co-operative association whose members are housing co-ops and related organizations in British Columbia. Members provide direction through their delegates at Federation meetings, through the Board of Directors elected at the annual general meeting, and by serving on CHF BC committees. This member direction helps CHF BC focus on meeting the needs of housing co-ops.